Gaza terror groups reportedly on 'high alert' amid fears that IDF will use military exercise in southern Israel to launch war against them. 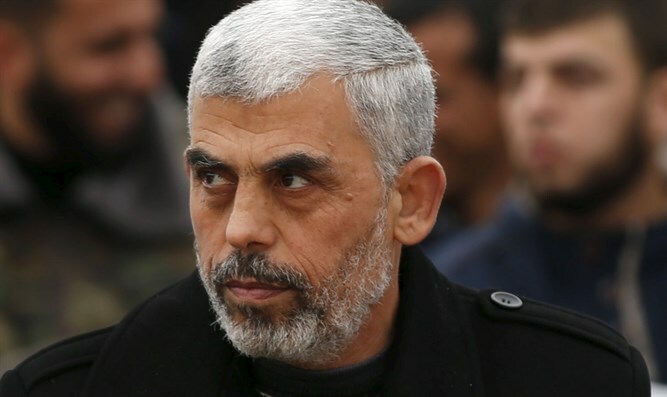 The London-based Arabic newspaper Al-Hayat reported this morning that Hamas leaders and other terror organizations based out of Gaza are “95% certain” that Israel will launch a war against them within the coming days. According to the report, Gaza terror leaders, including Hamas leader Yahya Sinwar, expect that the IDF will take advantage of a large-scale training exercise, which began last night in southern Israel, to initiate a war. Palestinian Arab sources quoted by the report said that, in light of the assessments, Hamas and other Gaza-based groups have declared a state of high alert, evacuating most of their posts and setting up police and security checkpoints across Gaza. Israel has attacked Hamas targets in Gaza twice in the past several days in retaliation for rockets shot from Gaza into Israel on Thursday night and Friday night, respectively. Earlier on Thursday, four armed Arab terrorists were captured after they infiltrated Israel from Gaza, having successfully penetrated the security fence along the Israel-Gaza border. Israeli security forces found the four carrying two knives and a grenade.